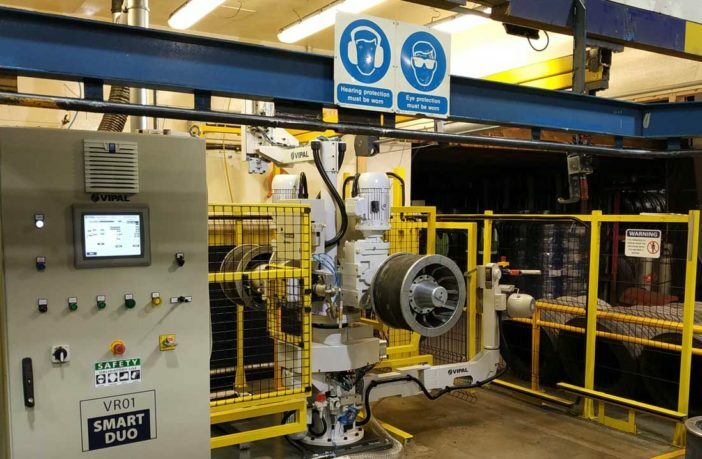 Vipal Rubber’s VR01 Smart Duo buffing machine has been installed at Tyre Retreads in Christchurch, New Zealand – the first machine of this type to be delivered outside of Latin America by the company. The system can buff up to 35 tires per hour and enables loading, unloading and finishing to be performed simultaneously during the procedure, thus streamlining the whole retreading process. Representing Vipal, André Desconsi, Tiago Campanharo, Leandro Paim, Marcelo Cenci and Henry Pasqualotto traveled to Oceania to celebrate this important milestone for the Brazilian company. During their time there they were able to meet and exchange knowledge with members of Power Retreads, an importer of Vipal products in the region. Tyre Retreads acquired the system due to Vipal’s excellent service. The high quality of the product was also a central factor, as well as the machine’s low energy consumption and better use of the saws. “The technical service was excellent both during installation and in the aftermarket,” said Alan Neuman, one of the owners of the New Zealand-based reformer.